You know, just how cool would it be if you could mess with the blocks that a world is made of? You could have a andesite world that swaps stone and andesite, making it harder to find stone. Or, you could make grass podzol instead. Or you can pull some real tricks and make it snow/ice throughout the entire world! Think of the possibilities. Worlds could be optimized to make map templates. Survival can be made harder/easier/better. The aesthetics and properties of the world would be at your fingertips. All for just a few changes in the code, a small addition that would allow the generator to swap blocks around. You could even swap air with stone, and stone with air! You would have an opposite world full of islands above the void, with no sky! And that would just be WITHOUT the custom terrain! This idea was so freaking beautiful in my head, I just had to put it here. I plan on requesting a mod for it as well. Let this thread come to the top! And even if you don't like the idea, it doesn't matter because you don't have to use it. Let this thread LIVE! Give me a moment to show what it would look like. This is not from a blockswap gen, but it was done via a replace operation in MCedit. I rarely make use of it, but would not the custom world options be able to accomplish this? It's a simple idea, but something I could get behind. This would make for some interesting challenge maps, survival challenges, and more. Examples include making a survival world on a planet with no life, (Replace grassy dirt with dirt. Replace Trees, long grass and ferns with air, etc.) a challenge world where stone is replaced with andesite, making tool stone a rare commodity... The possibilities are pretty endless. 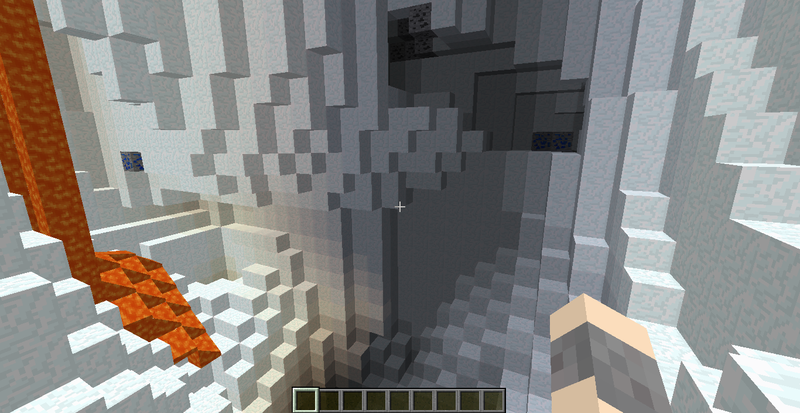 One question though: do the blocks of generated structures (dungeons, strongholds, etc.) get replaced too? Is there a setting for this? And would it be possible to have biome-based block replacement?